There are many different types of therapy program that your teen, in an attempt to get them the help they need, will have been exposed to. There is no right or wrong style of treatment. 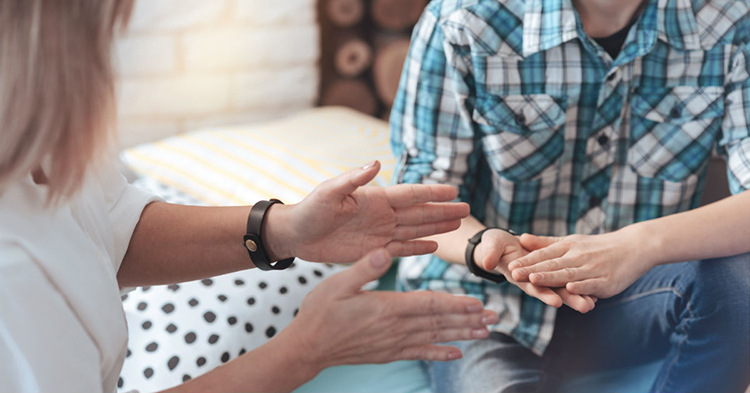 It is based around the needs and response of the person receiving it, but there are some programs that have been found to be especially helpful for struggling teens. At Sundance Canyon Academy, a unique combination of in-house monitoring and REBT is used to treat troubled teenagers and help them get back on track. Developed by Albert Ellis, REBT is a form of cognitive behavioral therapy that utilizes exposure and thought processing to get past irrational fears and beliefs. The principle behind it is very simple: the more you do something, the more you see the fears behind it are not rational and therefore have to be let go. Ellis proved the theory himself in his fear of speaking to women. He forced himself to go to a park every day and speak to a woman until he had done so one hundred times. By the end of his experiment he had found that his fear was diminished to almost nothing and his thoughts on the process were clearer and more honest. As long as the behavioral being modified is a healthy one, REBT is perfectly safe. For instance, someone with OCD tendencies might have a fear of leaving the stove on. You would not have them leave the stove on over and over, but rather check one time and then refuse to check it again. Over time, they would see that their fear is irrational. They would begin to heal and find themselves feeling the urge to check diminish. Therefore, it is a safe way to manage the thoughts without creating risk. How Is Being In a Therapeutic Boarding School Beneficial? A therapeutic boarding school offers a safe, secure and consistent environment where the patient/student can develop a sense of belonging and stability. This can be extremely helpful when taking part in any behavioral modification treatment. It is also staffed 24/7 by well trained medical professionals, as well as teaching and administrative staff with backgrounds in mental health. They will be prepared to help your teen as they navigate the thoughts and fears that have been holding them back. Find out more about this and other topics at Sundance Canyon Academy.